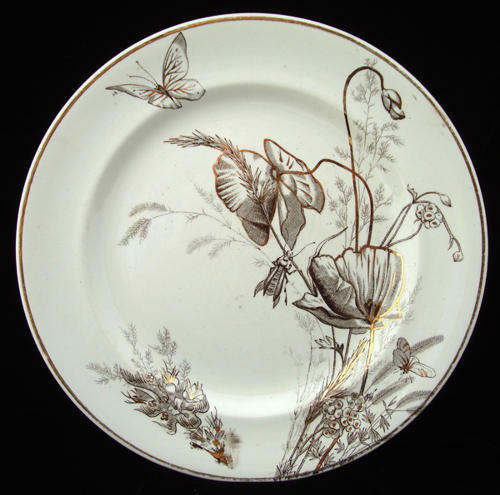 These large Victorian aesthetic 10 5/8 " dinner plates are transfer printed in brown with bright gold luster highlights. The printed transfer features floating Poppies above wildflowers and two Bees and a lovely Butterfly flitting by. The plates are in great condition. There are no chips, no cracks, no hairline and no repairs.